No.184, and sister locomotive No.186, are examples of what was by far the most numerous class of locomotive (diesel or steam) ever to run in Ireland. 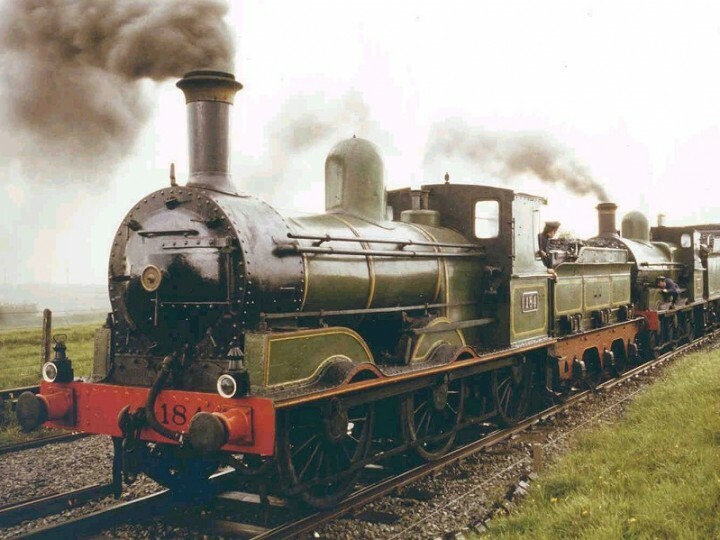 111 were built between 1866 and 1903 with only minor modifications between batches. The great majority were built by the GS&WR at Inchicore, though the construction of some examples was contracted out to Beyer Peacock and Sharp Stewart, both famous Manchester based locomotive building firms. 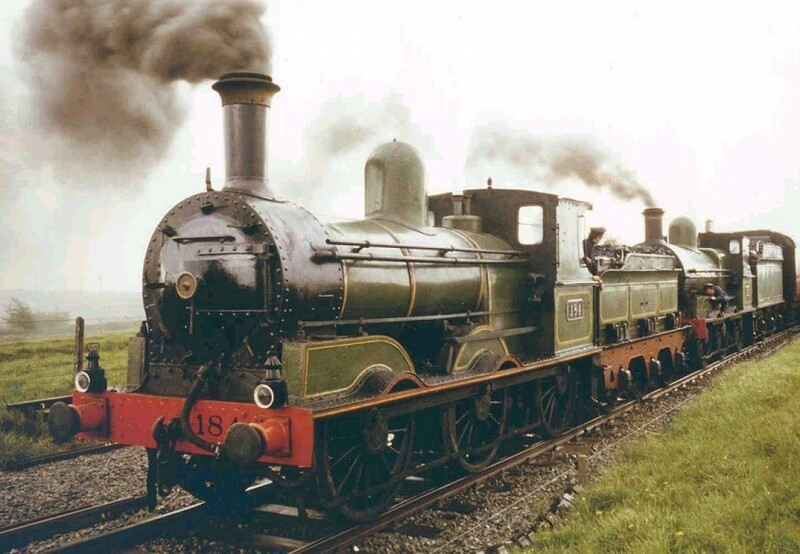 The J15s survived long after many more modern locomotives were scrapped and when CIÉ abandoned steam haulage at the end of 1962 they were still the most numerous class with nearly half their number still in traffic. They were to be found all over the broad gauge lines of the Republic on all duties from shunting to main line passenger turns. 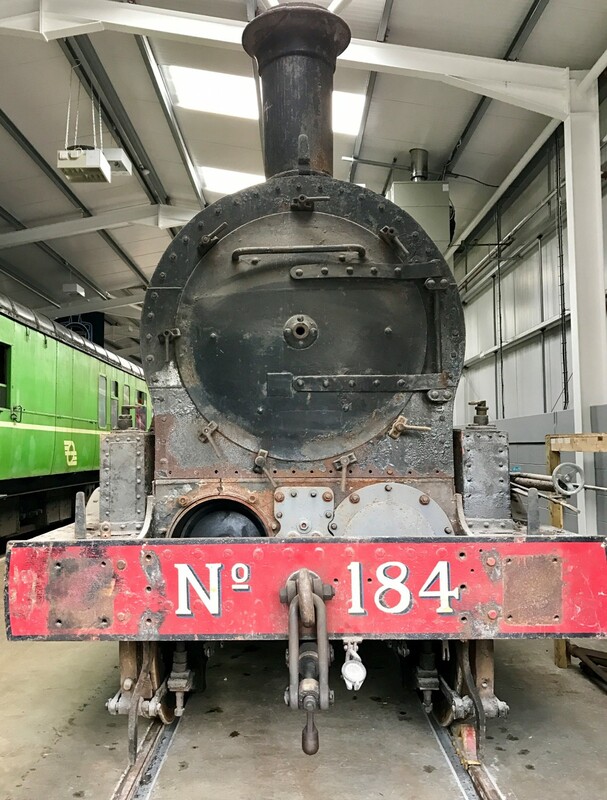 No.184 retains the smaller saturated boiler and when acquired by the Railway Preservation Society of Ireland, still had the smaller 1,864 gallon outside sprung tender. Latterly, though, she had been paired with No.186's 3,345 gallon tender to increase coal and water capacity on RPSI tours. 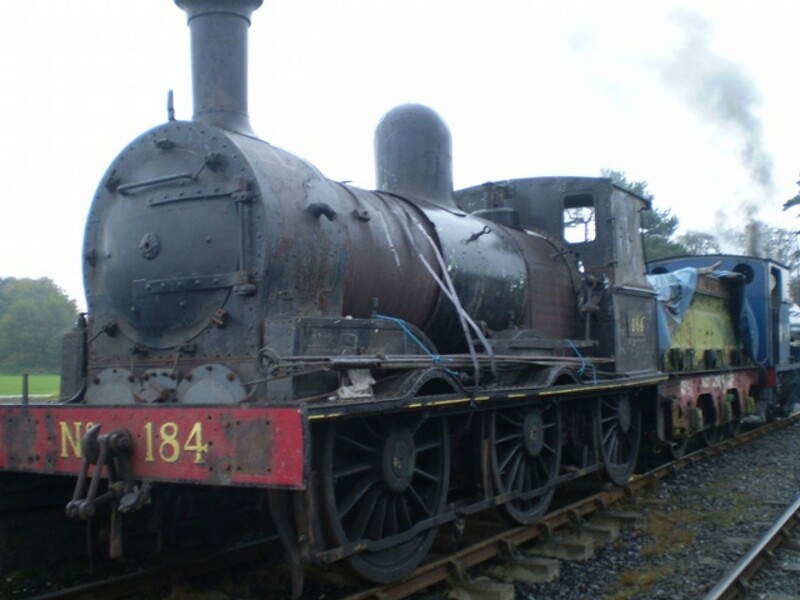 No.184 would originally have carried a lined green livery, similar to that carried by GS&WR No.90 at the moment. This gave way eventually to black, and after 1925 they were painted unlined battleship grey, the standard Great Southern Railways, and later CIÉ, livery. In the late 1970s in RPSI service it carried (with No.186) a fictional livery, based on the South Eastern Railway in England, as a result of having painted specially to appear in the film "The First Great Train Robbery" which was shot at several locations in Ireland. Currently, 184 is in black. 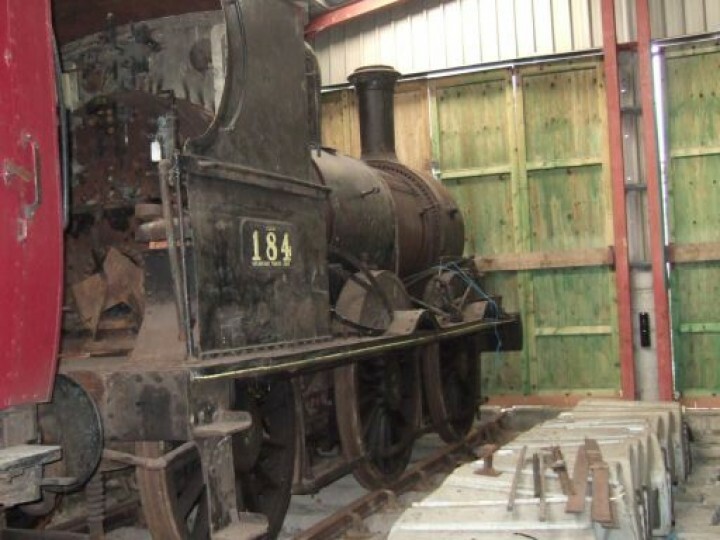 Currently No.184 is stored under cover. The locomotive is complete, but needs a new front tubeplate and work done on a seriously corroded cylinder block. 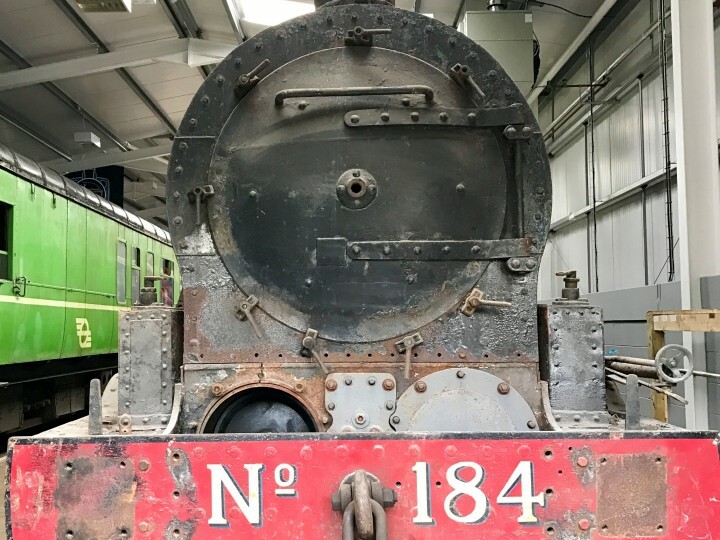 Her tender tank will need replacing as well. Current traffic requirements require engines larger than No.184. She is unlikely to steam again in the foreseeable future. 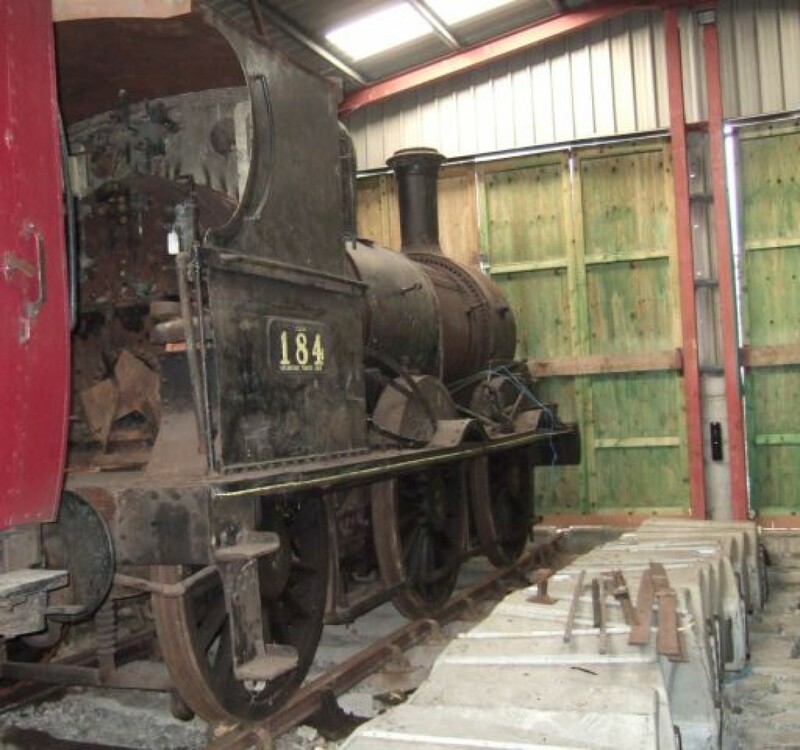 Current plans are to restore her cosmetically for display at Whitehead Railway Museum, possibly with the original double smokebox doors.